The tax perks of owing an investment property have been in the news recently. Basically, when you own a property and rent it out, the rental income that you earn is taxable. However, you can then deduct most expenses that you incur in generating that income. One of the hardest aspects of managing your own investment property is keeping tabs on your income and expenses. With the ATO cracking down on excessive property-related tax claims, it’s never been more important to keep good records so that you can prove all your expenses in the event of a challenge from the taxman. Normally, you need to keep records for five years from the date you lodged your tax return but for capital gains tax purposes, you should keep purchase and sale documentation for at least five years from the date of lodging the return showing the disposal of the property. Given that you may own the property for a long time, this means that your purchase documentation in particular will need to be stored safely for many years. To claim deductions, you need to let the property on a commercial basis. If your property is being let rent free (or at a non-commercial rate) to, say, friends or family, the amount of deductions you can claim will be limited to the amount of rental income you earned. To keep on top of your taxes, it pays to get help. A tax agent like H&R Block can guide you through all the tax claims you’re entitled to, while they’ve also partnered with the newly launched Lodge by BPAY Group, who can help with day-to-day property management and record keeping. Lodge is an online platform that gives independent landlords tools and insights to make managing their property easy and empower them to unlock the potential of their biggest asset. Combined, H&R Block and Lodge can take the stress out of managing your tax return. 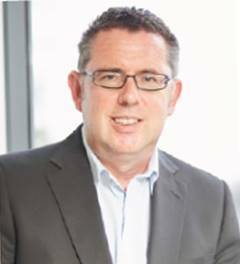 Q: How can you get the best tax result from your property finance? A: Of the various items of expenditure that you might incur in running a rental property, probably the most significant is the amount you pay on your mortgage. 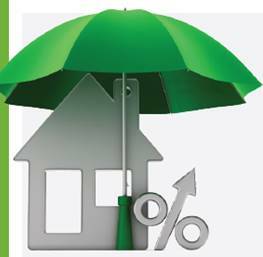 The interest element of your mortgage repayment is deductible for tax purposes. Therefore, by gearing your property to the maximum level possible under the rules allowed by your bank, you can also maximise the interest charges you can claim as a tax deduction. As well as mortgage interest, there are lots of other deductions potentially available to rental property owners. Head to your local H&R Block office for bespoke advice. Q: What can Lodge do for you? A: Lodge features auto-rent collection, recording expenses, storing documents and simplifying tax by generating tax reports that can be sent directly to your accountant in an easy to use online platform. 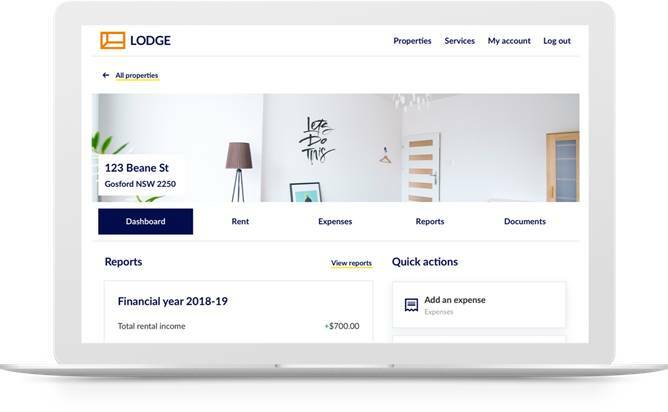 By seamlessly connecting the fragmented processes involved in managing investment properties, Lodge simplifies property management for landlords. Q: How does Capital Gains Tax (CGT) on investment properties work? A: When you sell the property, you are subject to CGT on the profit. If you own the property for more than 12 months, you become eligible for the 50% CGT discount. This is equivalent to halving the rate of tax you pay on the full gain. Property investors are being given a helping hand in managing their finances and taxes, as H&R Block announces their partnership with online platform for property investors, Lodge by BPAY Group. To celebrate the partnership with Lodge by BPAY Group, H&R Block will also be offering their customers a free three-month trial of the platform.